Once a month join entrepreneurs, creatives, and community leaders in a half to full day conference to strengthen your business and assist you in thinking bigger. Some months we will focus on skills such as running an effective crowd funding campaign. Other months we will explore cultural implications of leading such as the impact and wealth of a cross-generational workforce. Always new. Always relevant. What is going on in our city, county and state? Join us once a month for a conversation with local resources to learn first hand how to participate in and influence the greater community. Fun, did you say fun? What are we women going to do next? Retreat? Create? Attend a spa together? Pray? Take a hike? To find out what is happening next, click here. If you are interested in joining the vision and planning group for SIS, please contact Patty at connected@impulsuscommunity.com. Writers with Writers is a group of self-proclaimed writers interested in practicing their craft in a group setting. This group accesses unique opportunities and expert lectures, incorporating what they see and hear into writing exercises. WWW may listen to a hairdresser share his/her strangest client confessions to then incorporate into a character sketch. The group may meet after hours with a barista and taste different coffees exercising the creativity of description in parsing out subtleties. Our discoveries and shared experiences are endless. 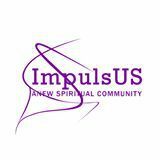 For more info contact Patty at connected@impulsuscommunity.com. Once a year the ImpulsUS community spends a day in service throughout the Old Town Scottsdale area. Throughout the year teams form to respond to community requests. For more information on participating as a Sacred Service Team member in the greater community, contact Patty at connected@impulsuscommunity.com. Music opens the heart and stirs the soul. Enjoy our music group and explore music as a sacred practice to open hearts and stir souls. Create an atmosphere and a feeling tone that brings everyone into resonance and entrains us all with the Divine Impulus. Sing or strum to Patty at connected@impulsuscommunity.com. Affirmative Prayer is a staple in the ImpulsUS community. Have a prayer request? Email it to pray@impulsuscommunity.com.